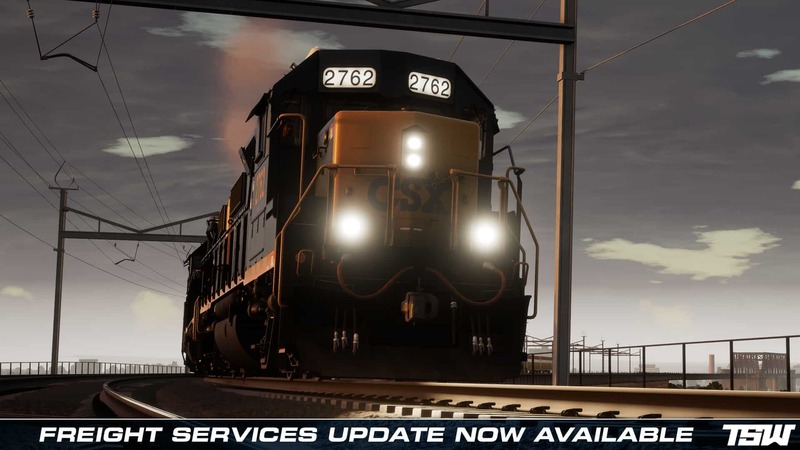 With our latest update for Train Sim World: Northeast Corridor New York, the highly anticipated Service Mode CSX freight operations are now yours to drive! 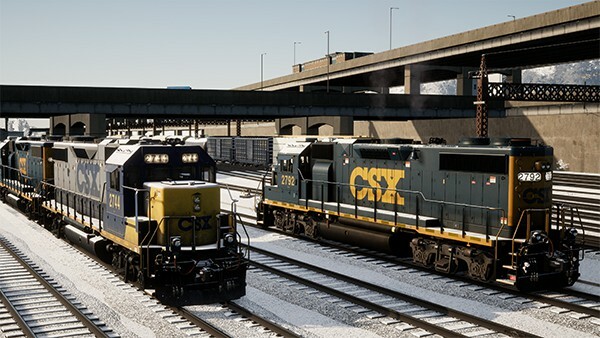 All new services have been added utilising the included CSX GP38-2, and also the CSX GP40-2 (available separately), depicting a “day in the life” for a CSX Engineer in New York. 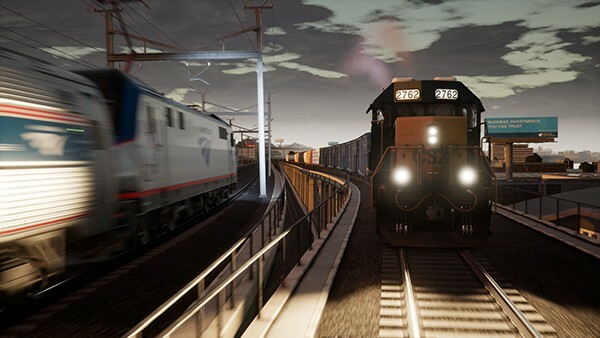 The new services add around another 10 hours of unique freight-orientated gameplay to Train Sim World: Northeast Corridor New York; you’ll manage trash trains between Oak Point and Harlem, sort manifest trains and deliver freight cars around Oak Point and Hunts Point yards, move trains between Fresh Pond Junction and Oak Point and do various switching moves in all the yards. F01 - F04: manage trash trains between Harlem and Oak Point with F04 taking a train of trash cars out to Fresh Pond to the barges. F09: a final trash train service later in the day. F05: primarily an inbound manifest AI-only train that comes in across the Oak Point Link, this then leads in to most of the following services which move these cars around the yards. F06: a big Oak Point switching exercise. F10: (in six parts) take a manifest train down to Fresh Pond Junction in the first three, then the last three bring another one back up to Oak Point. F11: what happens in the middle - where the switcher at Fresh Pond Junction takes F10 (first half) train and moves it to east yard, and brings up another train from east yard and makes it ready for F10 part 2. 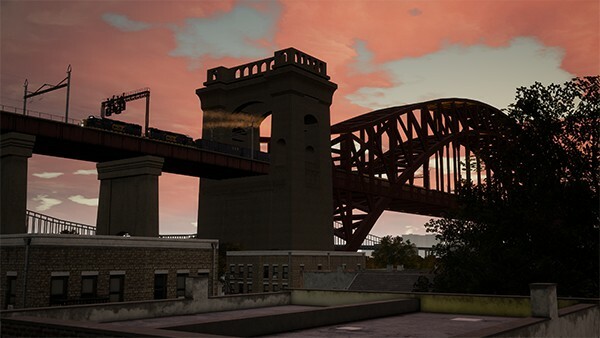 There are three major switching services, F06, F07 and F11, along with numerous runs between Fresh Pond and Oak Point that cross the amazing Hell Gate Bridge. You'll work in all four yards and use a mix of one and two locos for the various work shifts. 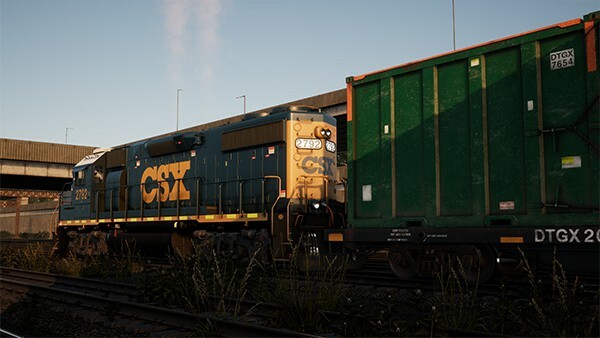 Substitution is of course supported, you'll find CSX GP38-2s and GP40-2s (if you own the appropriate add-ons) swapping in randomly in various liveries each time you run. 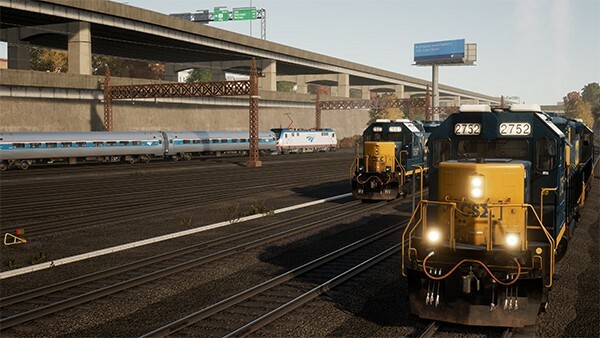 Furthermore, the whole thing can run on its own - sit and watch the AI go about any or all of the services on its own, or observe the action in the yards as you cruise on by in Amtrak ACS-64 Northeast Regional services. F01-1 Loco Move to Harlem (9 min): Run down to Harlem River Yard with your locomotive and couple to a cut of loaded Trash Cars ready to be delivered back to Oak Point. F01-2 Harlem Trash to Oak Point (10 min): Deliver these Trash Cars to Oak Point Yard. F01-3 Stable Loco (5 min): Stable your locomotives. F02-1 Loco Move to Empties - (10 min): Move your train to the head of a cut of Trash Cars bound for Harlem River Yard and get coupled up ready to go. F02-2 Empty Trash Cars to Harlem River - (10 min): Deliver these trash cars to Harlem River Yard. F02-3 Loco Move to Oak Point - (15 min): Run back to Oak Point and stable the locos. F03-1 Loco Move to Harlem River Yard - (10 min): Head down to Harlem River Yard, another set of Trash Cars are loaded up and ready to come back to Oak Point for later transfer. F03-2 Harlem Trash to Oak Point - (10 min): Bring these loaded Trash Cars up to Oak Point Yard. F03-3 Stable Loco - (5 min): Stable your locomotive. F04-1 Assemble Fresh Pond Trash Train - (15 min): Join two cuts of trash cars together ready for them to make their way down to Fresh Pond Junction. F04-2 Transfer to Fresh Pond - (25 min): Run a Trash train from Oak Point Yard to Fresh Pond Junction, where another engineer will take it on to the barges. F05-1 Stable Locos - (5 min): Stable the locomotives that have just arrived from the Hudson Sub with a Manifest train. F06-1 Manifest Switching 1 - Separate out - (120 min): Switch cars from a Manifest train into different sidings depending on their final destination. F07-1 Manifest Switching 2 - Delivery - (120 min): Switch cars from various sidings to their final destinations, including running some cars to Hunts Point and bringing empties back. F08-2 Stable Locos - (5 min): Stable your locomotives. F09-1 Prepare Empty Trash Train - (5 min): Prepare a train of trash cars ready to take it down to Harlem River Yard. F09-2 Deliver Empty Trash Train - (10 min): Deliver these Trash Cars to Harlem River Yard. F09-3 Return Loco to Oak Point - (15 min): Return your locomotive to Oak Point and stable it. 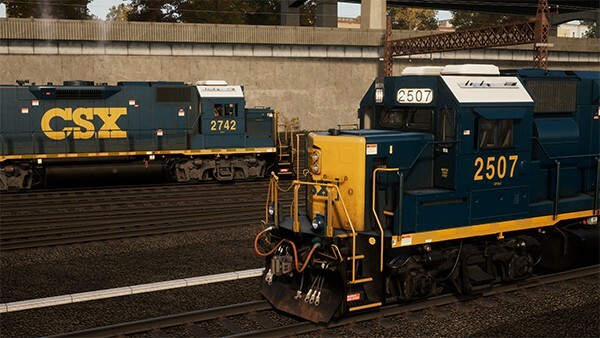 F10-2 Deliver Manifest to Fresh Pond - (20 min): Deliver this manifest train to Fresh Pond Junction Interchange Sidings where it will be handled by the local switcher. F10-3 Move Locos to Waiting Point - (5 min): While you await your return consist to be set out, move your locomotives out of the way until the local switcher completes their tasks. F11-1 Fresh Pond Switcher - (90 min): A Manifest train has arrived from Oak Point, bring it down to the East Yard in two cuts and then take a cut back up, only a short delivery to go back up to Oak Point today. F10-4 Move to Head of Northbound Manifest - (5 min): Now that the return train is ready, move your locomotives to the head of the consist and couple up, ready to go. F10-5 Run Manifest to Oak Point - (20 min): Run this manifest train back to Oak Point Yard. F10-6 Stable Locos - (5 min): Move your locomotives to the stabling sidings. 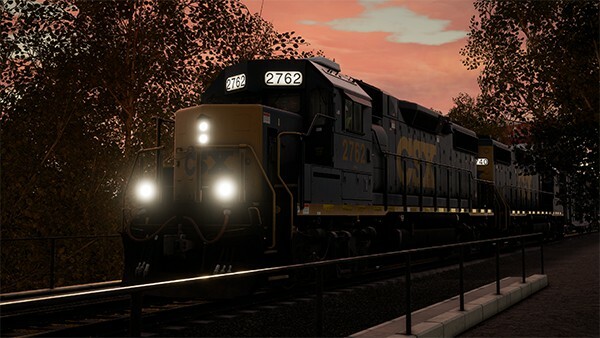 TSW: Step Up with the DB BR 155!